Ulster head coach Dan McFarland admitted his side were taught a lesson during their 44-12 reverse to Racing 92 in Paris on Saturday. But McFarland also launched a passionate defence of his Ulster set-up which appears in sharp contrast to the monied French aristocrats. From their hyper-modern home ground - more an arena than a stadium - to their expensive array of stars, the differences between Racing and their weekend visitors appeared stark throughout. McFarland, though, does not believe that the gap between such sides and his own is becoming insurmountable. "I don't see that as a gap, I see it as two teams," he said. "They just work in a different resources world to us. At no stage were we ever sitting there saying we desperately want those resources, we are what we are. "We have strengths that I believe they don't have and we'll use those. 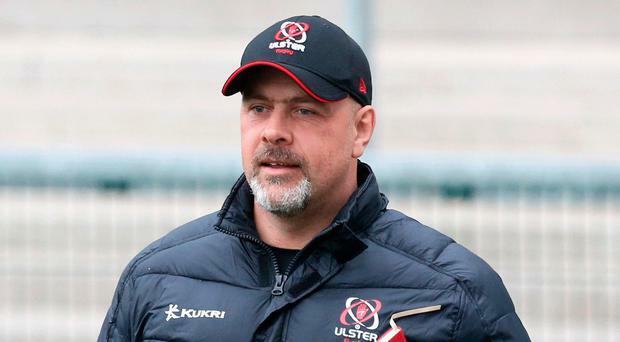 "Ulster has a proud tradition, it's a province with an identity, it's a province that has a deep legacy and a hunger among its fanbase and players to do well. "As a team, that'll be our strength going forward and we'll build on that. It'll be about getting good players together and pulling them together as a team." The province created a hatful of chances in La Defense Arena but could only come away with two tries in contrast to the five bagged by their far more ruthless hosts. "We got a glimmer of what we are capable of, then we got a lesson in accuracy," added McFarland. "Throughout the game we demonstrated we can cause them trouble, but ultimately there were a couple of things that needed to go right for us to be competitive throughout and have a chance of winning." They sit third in their pool after two games, with one loss and one win, and play Scarlets in a decisive double-header in December. "We're a work in progress," McFarland added. "We'll keep working on where we want to go and the style of play we want to play, we'll work on the defensive side and the set piece. "We've got the Scarlets coming up - we have three games in four weeks against the Scarlets in December. But we have Dragons at home this week and the last two games we had in the PRO14 we lost, one we were comfortably beaten and the Connacht game was a disappointing game even if it came down to a couple of cards and a couple of things we did wrong. We have to rectify that next week, that's massive for us. "Then we go to Treviso in what'll be an extremely difficult fixture, so that'll be important." "We're playing against good teams, there's certainly that. There are areas we're getting better at, but we're a little bit up and down."